3. Run iBackupBot, and select your device from the listing, and find the Paprika data directory. 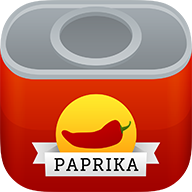 On the iPhone, it will be located under: com.hindsightlabs.paprika.iphone. On the iPad, it will be called: com.hindsightlabs.paprika.app. 4. Once you have selected the correct data directory, go to File -> Check All. 5. Under the export options, select: Export only checked file(s). Uncheck: Export with backup information, for import to another backup. 6. Save the extracted backup folder somewhere convenient. 7. Zip up your extracted backup folder, and send it to Paprika technical support.